The update and relocation of this equipment provides many opportunities for children of all abilities to play together. The improved nautical themed playground offers ramp-style equipment to access many of the slides and other features that the equipment has to offer. This playground is complete with: handicapable glider, two swings, two strapped swings, wheelchair swing, double-rail ramps, seven slides, multiple climbing experiences, and various activity panels to allow children to express themselves through music and mental exercises. Garrison’s Place was originally funded by The Byerly Foundation in 2014. The new updates to the playground were made possible by a matching grant from the Land and Water Conservation Fund and the City of Hartsville. 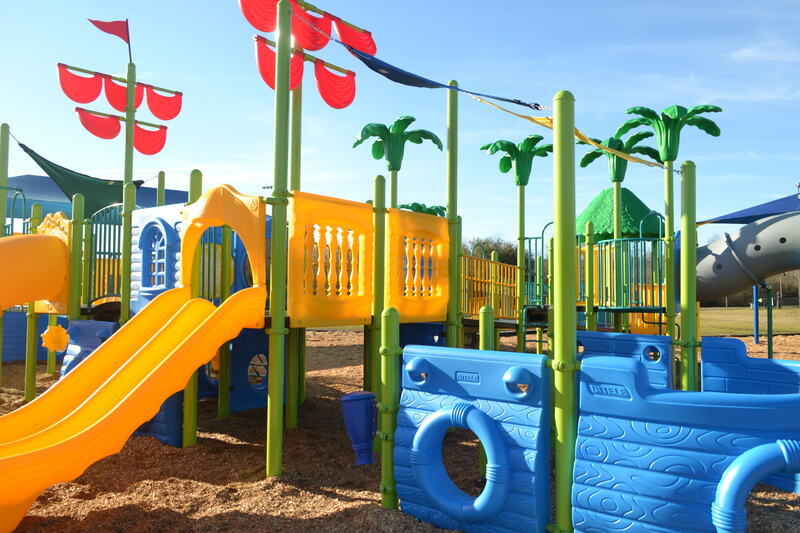 Garrison’s Place Playground is located on the grounds of Byerly Park located at 700 Russell Road, Hartsville, SC. It is maintained by the City of Hartsville Parks and Recreation Department.